Some of the worst severe thunderstorms in recent years have occurred in the final days of June. 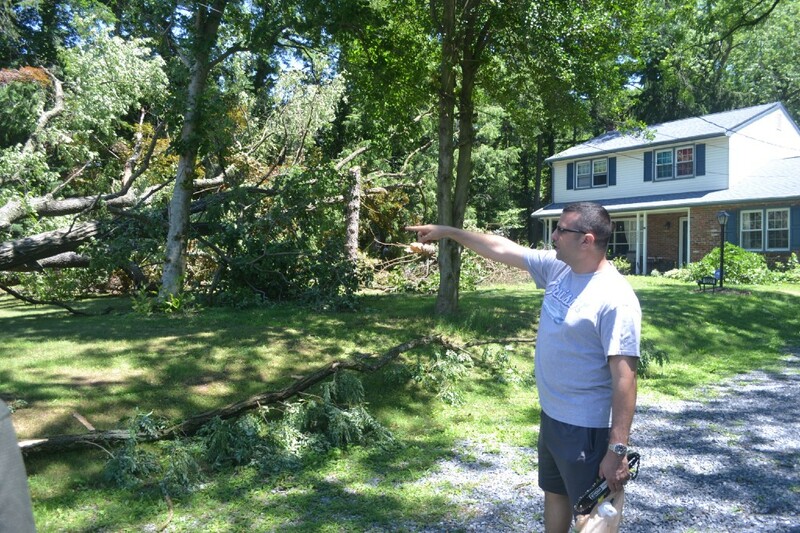 Cherry Hill resident Mark Pastoriza points to where a tree in his front yard used to stand before it came crashing down during a severe thunderstorm on June 23, 2015. When it comes to the weather, June 23 and 24 have historically been bad days to host a barbecue in Cherry Hill. Last Saturday, June 24, a severe thunderstorm packing high winds and heavy rain roared through Cherry Hill Township. Severe thunderstorm, flash flood and tornado warnings were all in effect during the storm. While Cherry Hill was mostly spared, neighboring communities such as Haddon Twp. and Collingswood suffered extensive damage from the storm. Last Saturday’s storm nearly hit two years to the day of a much more memorable and ferocious storm. On June 23, 2015, Cherry Hill and most of South Jersey was paralyzed when a line of severe thunderstorms descended on the area during the evening, bring lots of rain, lighting and high winds. Some said the storm was the worst to hit Cherry Hill since Hurricane Sandy in 2012. 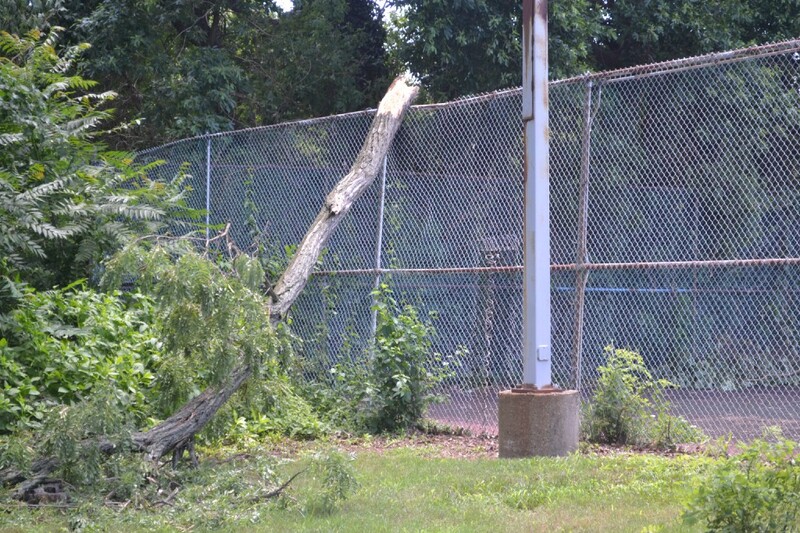 There were numerous fallen trees following the 2015 storm at Cherry Valley Swim Club. The Cherry Hill Sun spoke to community members and photographed some of the damage the day after the storm. One resident who suffered major property damage was Mark Pastoriza of Caldwell Drive. A large tree in Pastoriza’s front yard toppled into a pine tree, knocking the pine tree down. In the hours following the storm, traffic was at a standstill throughout the township. Either downed wires or trees blocked many major roads. Cherry Hill Police were seen setting up temporary traffic patterns at intersections to try and keep traffic moving as best as possible. Complicating matters were widespread power outages. Most of Cherry Hill was in the dark following the storm. A full day after the storm was hit, one-third of the township was still without power. 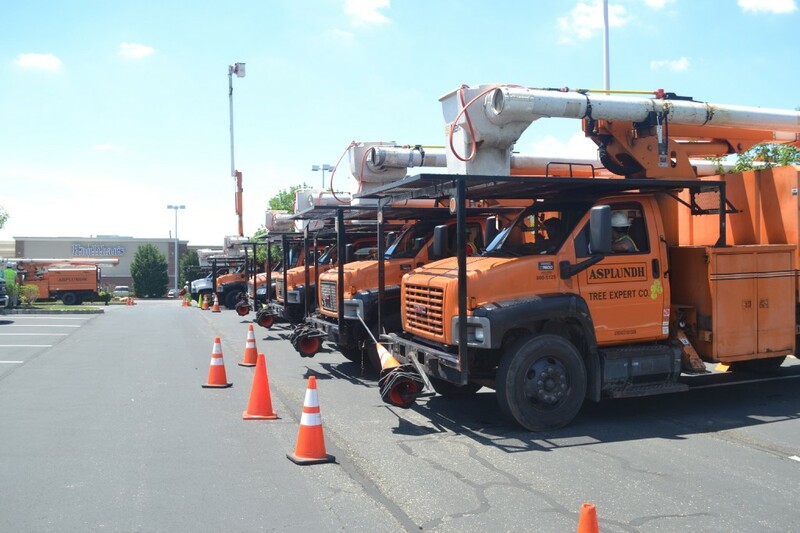 A long line of tree removal trucks wait to be deployed following the June 23, 2015 severe thunderstorm. The parking lot of Home Depot at Garden State Park was full of tree removal trucks, all preparing to be deployed throughout the town. 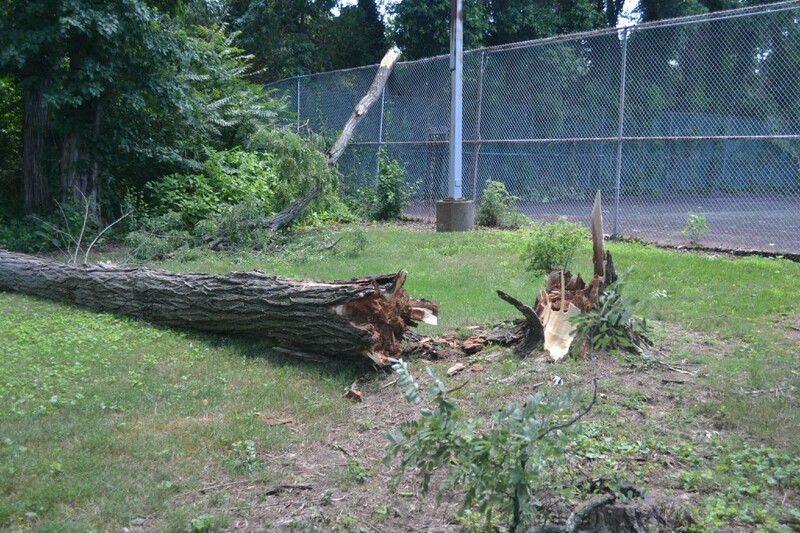 Cherry Hill Township’s public works department was also working non-stop to remove trees. Public works removed more than 100 trees in the 24 hours following the storm. As bad as the storm was, it didn’t set a new record for highest wind gust. In fact, a storm that occurred five years earlier, on June 24, 2010, had worse winds. The National Weather Service said the storm produced hurricane-force wind gusts of 75 miles per hour at Philadelphia International Airport, slightly faster than the 72 MPH winds from the 2015 storm. The National Weather Service reported numerous trees and wires down in Camden County during that 2010 storm, which struck during the late afternoon hours. One NWS spotter reported 60 MPH wind gusts in Cherry Hill during that storm. The 2010 and 2015 storms rank third and fourth respectively for packing the highest wind gusts on record. The only times the area received worse winds was during Hurricane Hazel in 1954 and on July 14, 1931.